What are the differences between Type 1 or Type 2 diabetes? When a person is pre-diabetic, they have impaired fasting glucose and impaired glucose tolerance. This person is at risk of becoming diabetic and falling victim to cardiovascular disease. Type 1 diabetics have a deficient insulin secretion caused by cell destruction in the pancreas, and often associated with pancreatic antibodies. They are typically exogenous insulin dependent and at risk of ketoacidosis. Type 2 diabetics are insulin resistant and have relative insulin deficiency. The deficiency is not absolute. The cause of Type 2 is uncertain. Individuals in this category are not susceptible to ketoacidosis and symptoms are not always apparent. Regardless of the type, physiotherapy diabetes treatment is important. Hyperlipidemia and hypertension pharmacologic management. How can physiotherapy help diabetes management? Physiotherapy is a type of proactive health care that grows in demand. Timely preventative care is critical to managing diabetes symptoms. Acting sooner than later reduces hospital visits and improves an individuals’s quality of life. Physiotherapists are active in services that focus on advice regarding general healthy behaviors, work and lifestyle. Physiotherapists coach and encourage self-care in the management of diabetes symptoms. A regular physio check-up, similar to dental check-ups, as a wellness routine has the potential of improving the health outlook of someone with diabetes and becoming a standard part of prevention. Physical activity is an important part of diabetes management. Exercise causes muscles to use sugar for energy. The body uses insulin more efficiently with the help of regular exercise. Choice and increased demands by consumers leads to significant growth in the area of physiotherapy for the treatment of diabetes. There are few exceptions to the rule that increased activity levels promote weight loss. Lack of exercise and being overweight are the most significant environmental factors related to Type 2 diabetes. Increasing exercise and losing weight are beneficial in glycemic control in Type 1 and Type 2 diabetes. Regular exercise significantly improves glycemic control and contributes to weight reduction. The exercise regimen needs to be part of one’s lifestyle. Regaining weight limits the effectiveness of managing glycemia. An essential part of physiotherapy diabetes treatment is educating individuals on proper foot card. Diabetes exercise is an major aspect of diabetes management. The cornerstone of the management is an individualized exercise prescription. The goal is no longer just for those with a body mass index of 25 or above who are obese or overweight. Daniel Umpierre and associates conducted a trial. The published results were a meta-analysis and systematic review that compared physical activity advice only and structured diabetes exercise training and their association with A1C levels. Structured exercise consisted or resistance training, aerobic exercise, and a combination of the two. One hundred fifty minutes per week of structured training showed a greater decline in A1C levels that structured exercise for less than 150 minutes per week. Dr. Timothy S. Church and his associates conducted a similar randomized, controlled trial. They concluded a combination of resistance and aerobic training improved AIC levels when compared to the nonexercise control group. Resistance or aerobic training alone did not have the same results. Those seeking the help of a physiotherapist in the management of the their diabetes with be given an exercise regimen that consists of muscle-strengthening and aerobic exercise. Have a snack before exercise begins when blood sugar levels are below 100 mg/dL. Dehydration affects blood sugar levels. Drink plenty of fluids to stay hydrated. Have a snack on hand during exercise in case blood sugar levels drop. Wear a medical ID bracelet when exercising. Multiple large, controlled and randomized trials demonstrate programs that modify lifestyle delay or prevent the disease in patients with impaired glucose tolerance. Studies conducted in the U.S., India, Finland, and China show programs targeting modest physical activity and diet reduce the progression risk from impaired glucose to having a definitive diagnosis by 42 to 58 percent. 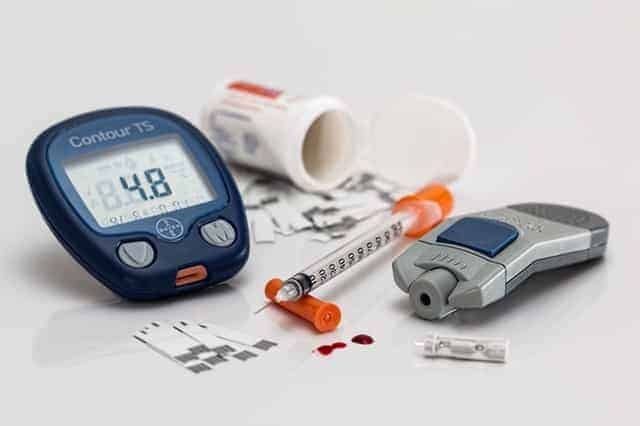 Studies suggest pharmacologic approaches are feasible, but physiotherapy diabetes treatment is the safest and most efficient preventative strategy to date. At our both Pickering and Milton physiotherapy centre, the experienced physiotherapist will help the diabetes management with a variety of methods, including: exercise, manual therapy (reduce MSK pain), foot care, promoting general health and education of diabetes prevention. In addition, there are ongoing studies, combining medication and lifestyle intervention. So far, there is no indication that the combination has more benefits than lifestyle intervention alone. Effects of Aerobic and Resistance Training on Hemoglobin A1C Levels in Patients With Type 2 Diabetes. Timothy S. Church et al, JAMA. 2010;304(20):2253-2262.